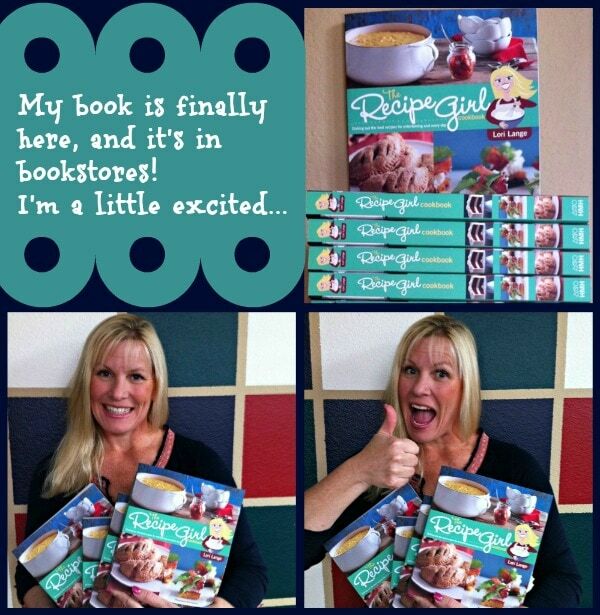 The Recipe Girl Cookbook On Sale Now! 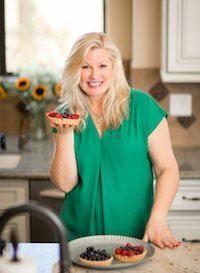 My book is full of easy, family-friendly recipes that I hope you will make again and again. 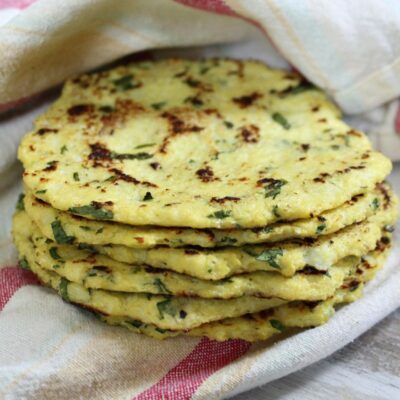 But there are also a few twists and turns in the book for people who do like to spend more time in the kitchen, and there are some fun options for those who like to entertain too. I can’t wait for you to see it and cook from it and bake from it with your friends and family. 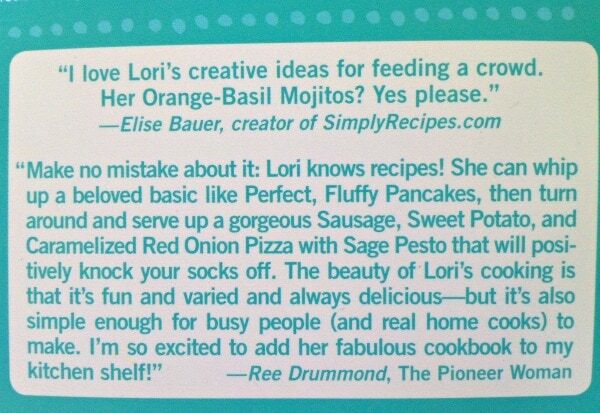 My fabulous blogging friends Elise Bauer (Simply Recipes) and Ree Drummond (The Pioneer Woman) provided these beautiful quotes for the back of my book. The Recipe Girl Cookbook covers all meals of the day- 195 recipes in all! 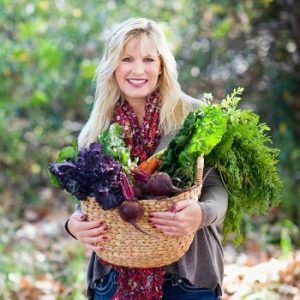 I don’t need to follow a special diet and I didn’t create my cookbook for any sort of diet in particular. But I know how frustrating it is when you need to follow a special diet and recipes don’t offer any options for adaptations. I included symbols in my cookbook to help out people who follow gluten free, dairy free and vegetarian diets. 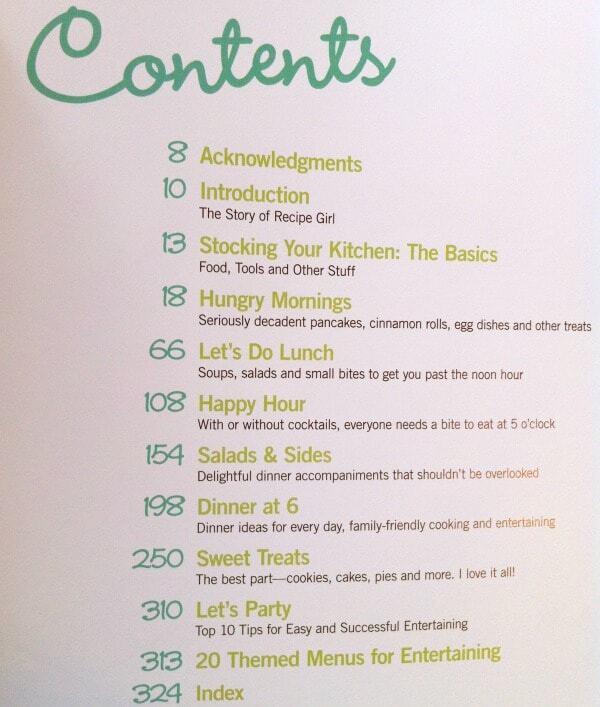 37 recipes in the book (W) are website favorites. 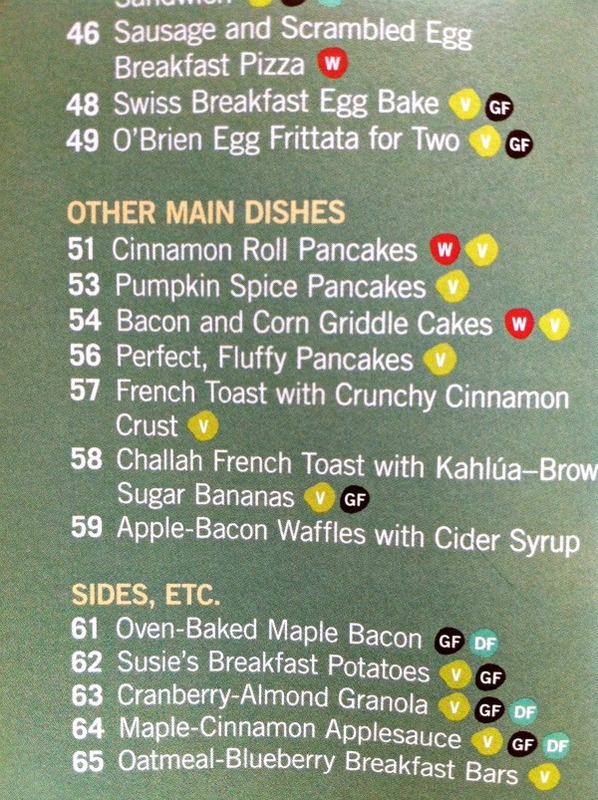 The remaining 158 recipes were created especially for the book. 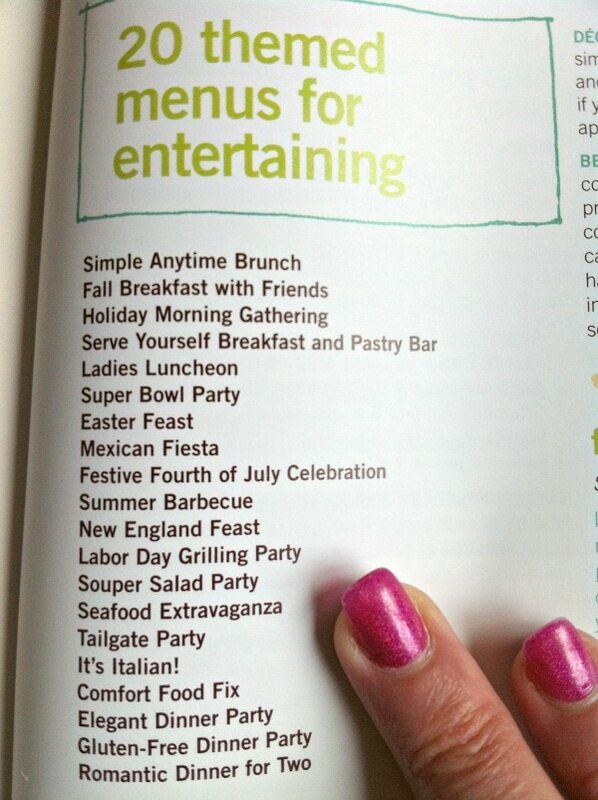 I’ve always LOVED entertaining with friends, so the last chapter of my book offers 20 easy, themed menus for entertaining- using recipes from the book and offering easy tips for decor and time management. Entertaining should be fun and as stress-free as possible, and I show you how to do that. I am ordering your book, looks great. I also think we are related as Kenneth Enstrom is my 2nd cousin. Hi Barbara- We sure are! That’s my Dad! How long did it take to you to write the book ? It was a long process of writing and editing etc. Almost 2 years total. It is truly a beautiful book! 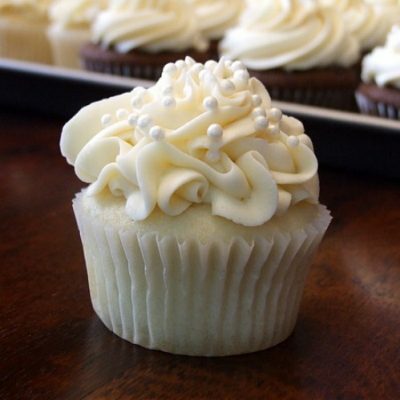 And, looks delicious – I can’t wait to start making the recipes! Congratulations 🙂 I’m so excited for you! I am excited for you! It looks just great and I will have to but it. No kidding! Love cookbooks. Congrats Lori! That is soooo exciting, I can’t wait to get mine. Enjoy your book tour. I’m really happy for you!! Congratulations Lori! The book looks amazing 🙂 Have to go out and get mine today! So happy for you on a great success! Congratulations! This book looks amazing and filled with such yummy recipes! Can not wait to get my hands on a copy! Congratulations Lori! It looks beautiful. I can’t even imagine the amount of work you put into making the cookbook! My book arrived today from Amazon. It is beautiful.